Jharkhand JAC 9th Result 2019: JAC 9th Class Result 2019 has been announced by the Jharkhand Academic Council. The JAC announced the Class 9th Result 2019 at 3:30 PM today. Students can now check the JAC 9th Result 2019 online on official website of the board i.e. jac.nic.in. Students must note that despite media reports, the JAC 9th Result 2019 is not available on any of the official websites of the JAC i.e. jacresults.com, jac.jharkhand.gov.in and jharresults.nic.in. Instead, they can follow the direct link provided below. Earlier, there were reports the JAC 8th Result 2019 will be declared today. However, the Jharkhand Academic Council has not released the Class 8 Results today and instead announced the Class 9th Result 2019 online. 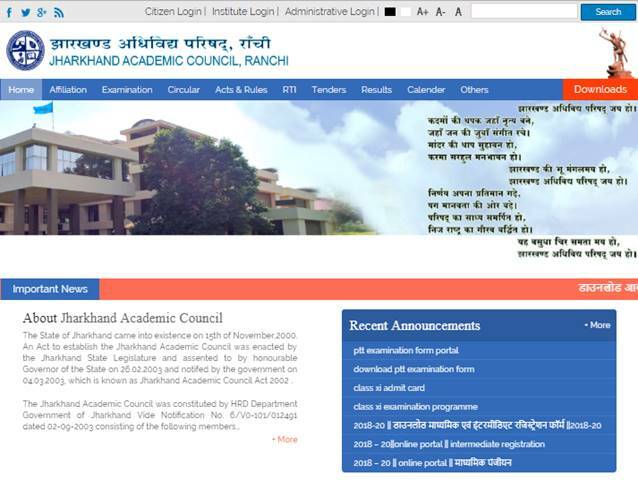 Currently, the official websites of the Jharkhand Academic Council have crashed and therefore students are facing difficulty in checking the results online. The problem has been noted by the JAC and the board is currently working to solve it. In the meanwhile, students are advised to exercise patience and try checking the result again. You will be notified about the official website getting fixed here as well. As per the original timeline, the JAC 9th Class Result 2019 was to be declared on 10th April. However, on that day as well, the official website suffered from technical problems because of which the result was postponed. This year, total of 5.8 lakh students who appeared for the JAC 9th Class Exam 2019 received their result today. The exam was held in the month of February across the state of Jharkhand in the morning session only i.e. from 9:45 AM to 1:00 PM. While other Boards only conduct the Class 10 and Class 12 Exams, the JAC also holds the Jharkhand Board Class 8 annual examination 2019 as part of its annual academic calendar. With rumours and speculations spread all around, students are having a hard time finding the right website to check the results. Nearly 5 lakh students will try and check the JAC 9th Result 2019 online today. This may lead to technical problems on the website hampering the result checking process. To avoid this, students are advised to only check Jharkhand 9th Class Result 2019 online from the official websites listed above. In order to avoid technical problems or difficulties, students can follow the simple steps listed below to get or check the JAC 9th Class Result 2019 online. The steps will help students avoid venturing into spam websites and help them check the JAC Result 2019 easily. Step 1: Visit jac.nic.in / jacresults.com / jac.jharkhand.gov.in / jharresults.nic.in. In addition to the Class 9th Result, the JAC will also announce the Jharkhand 10th Result 2019 and JAC 12th result 2019 online shortly. In all likelihood, the JAC 10th and 12th Result 2019 will be announced in the third week of May 2019.